I was horridly sick with the flu last week and this is one painting i sat down to do while floating in the haze of pink and white meds. Kind of rougher / more layering of gouache / more allowing paint to do it's own thing. I'm happy! 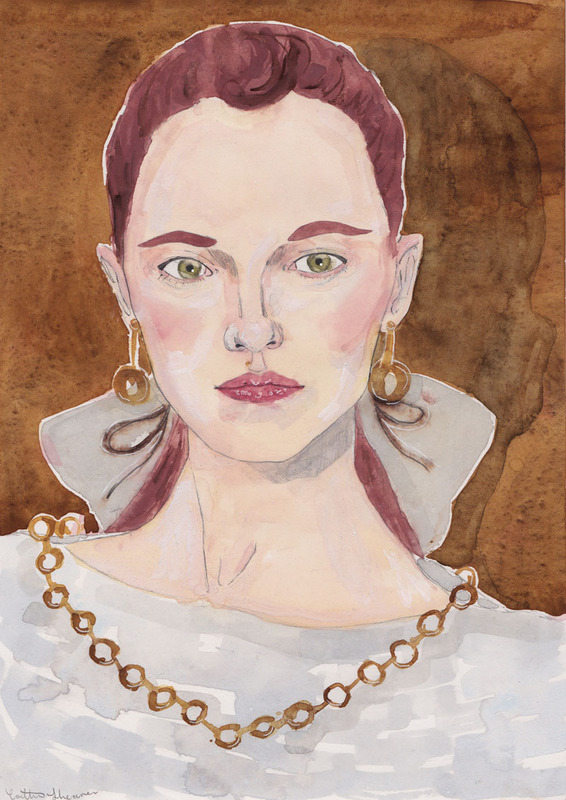 Inspired by wood panelling and faux gold adornments and 1980's chanel. This is really beautiful! I love it, I can't stop looking at it!